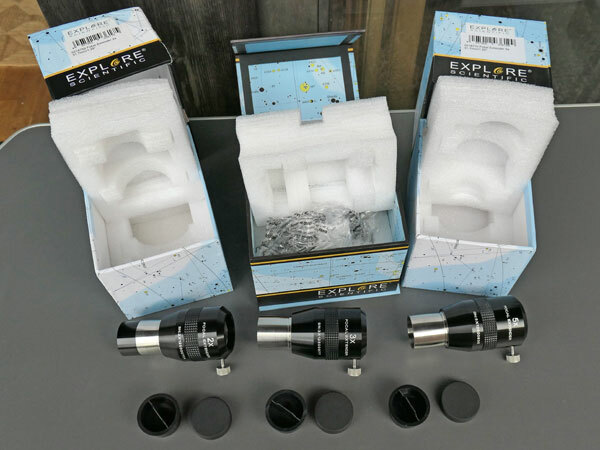 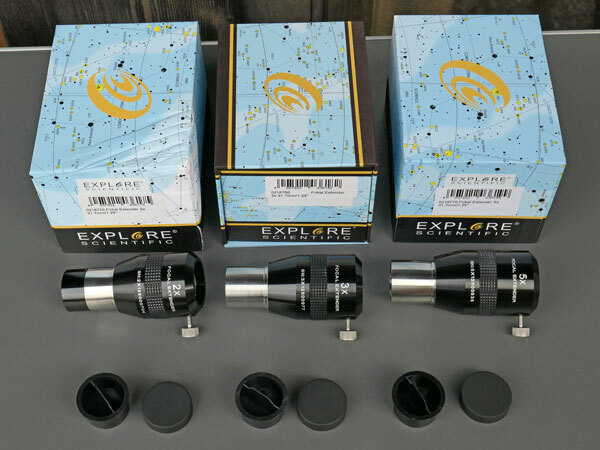 On this page, I present my Explore Scientific Focal Extenders (Tele Extenders) 2 x, 3 x, and 5 x (1,25") - as well as first experiences that I have collected so far when using them. 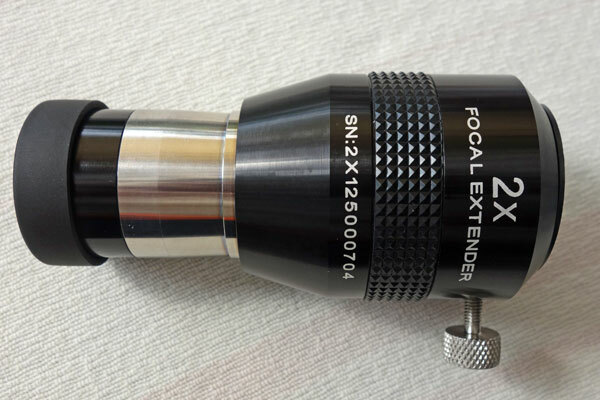 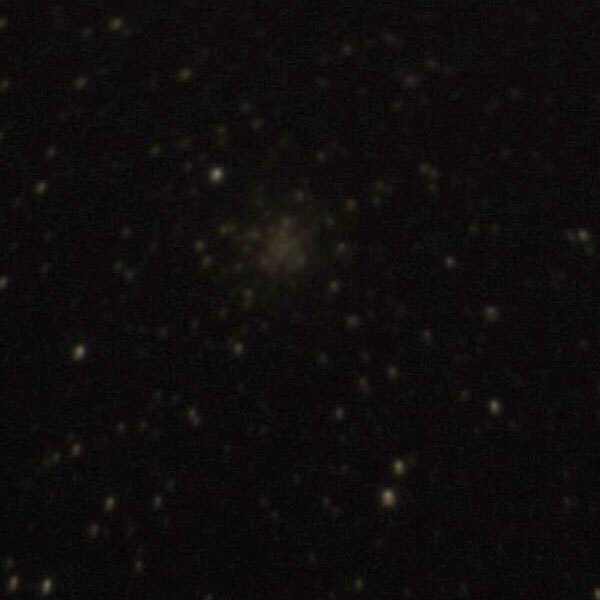 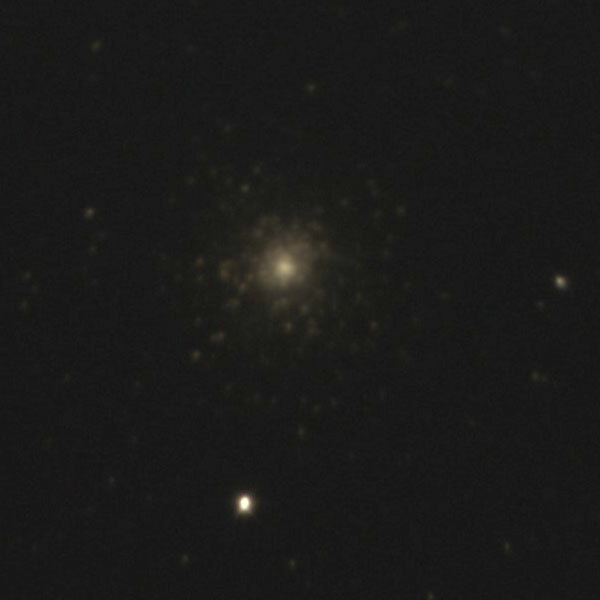 In May 2017, I "stumbled" by coincidence across a focal extender (Tele Extender) on the Explore Scientific Website and just ordered one, namely the 2x extender because I thought the lower the multiplication factor, the better the quality (which does not necessarily have to be true ...). 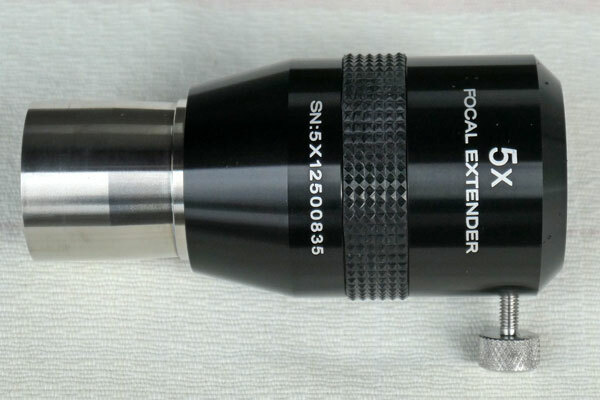 This extender is also available in a 3 x and a 5 x version. 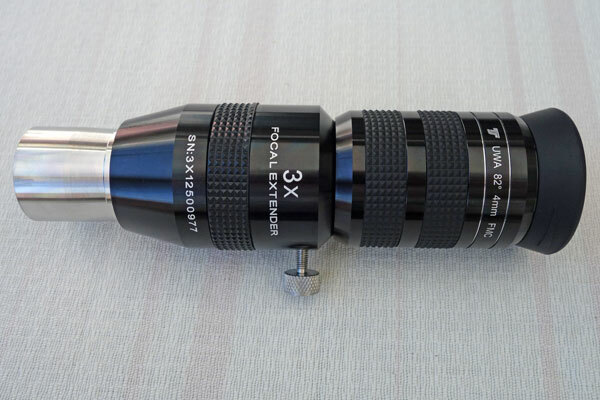 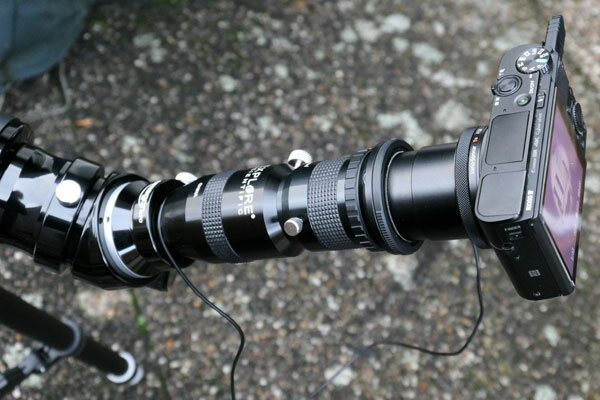 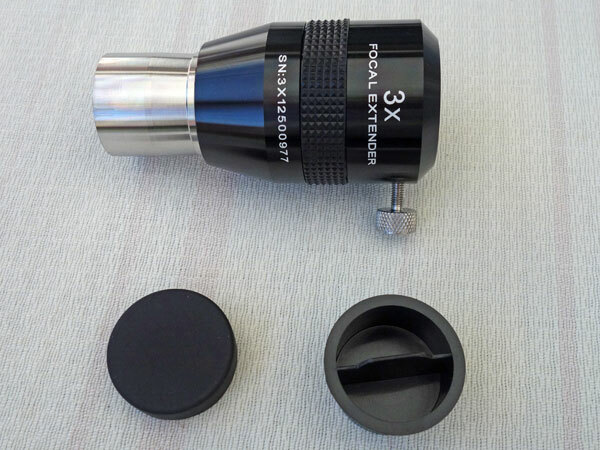 In addition to multiplying the focal length of a telescope, Explore Scientific highlights a further advantage of the extenders, namely that you can benefit from the better eye relief of eyepieces with a long focal length when using the extenders. 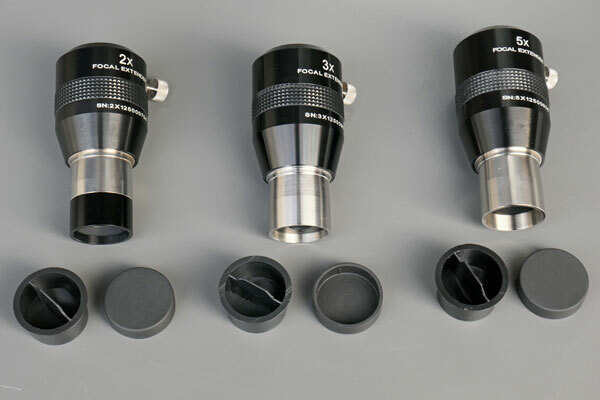 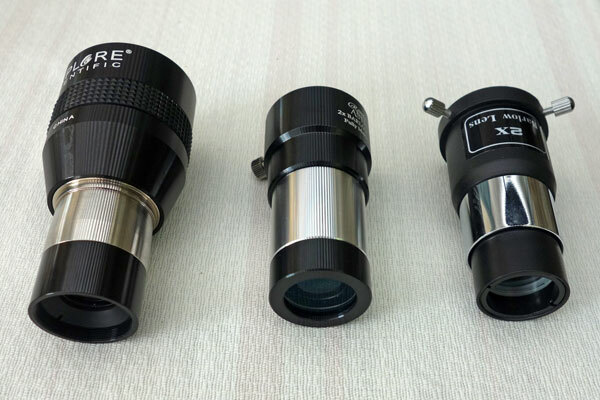 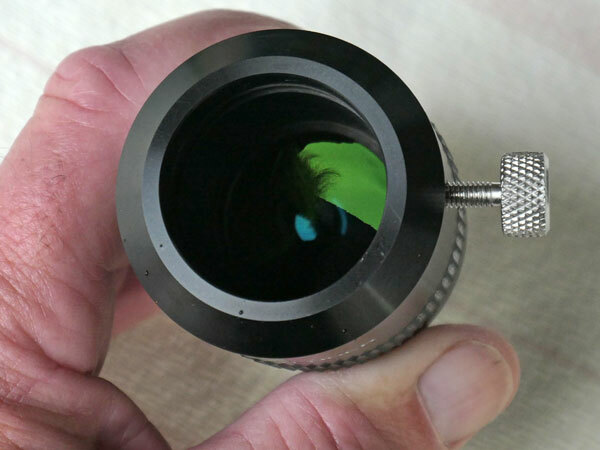 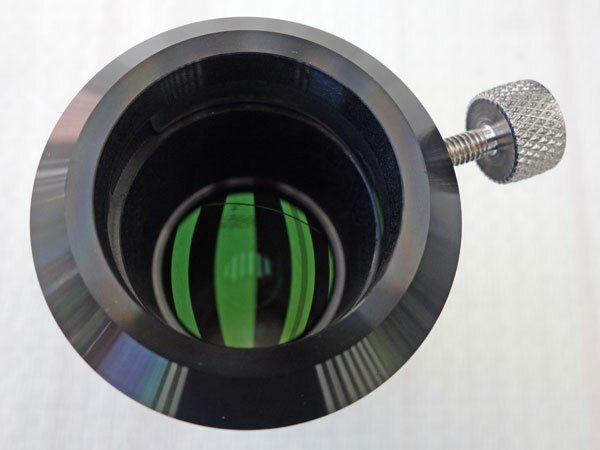 In contrast to Barlow lenses, which use a so-called "telenegative" design, the Explore Scientific Focal Extender has a "telecentric" design with 4 lenses, one of which is a dispersing lens. 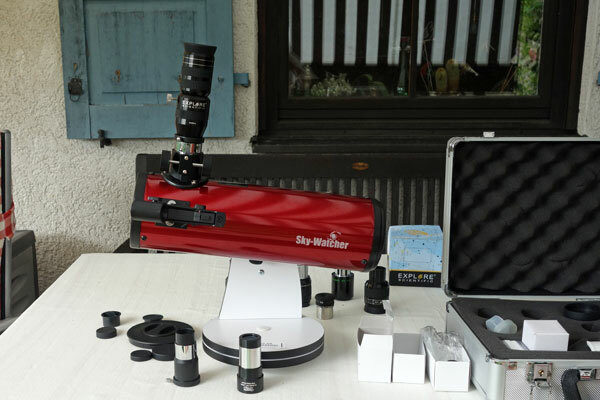 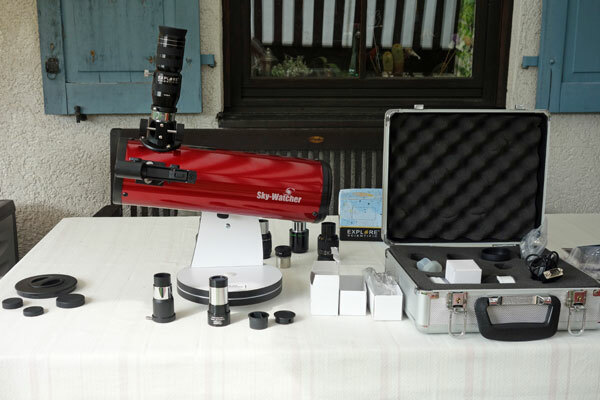 A similar design was sold by Meade, and Explore Scientific probably took it over (both versions are supposedly manufactured by JOS), and another one is being sold by TeleVue (obviously at a much higher price ...). 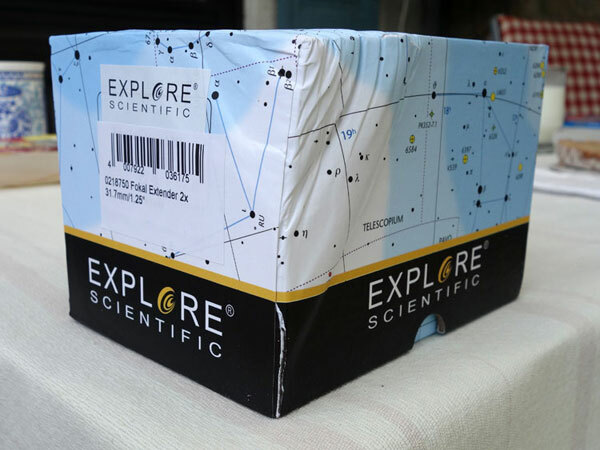 I notified Explore Scientific of this issue, but did not ask for an exchange. 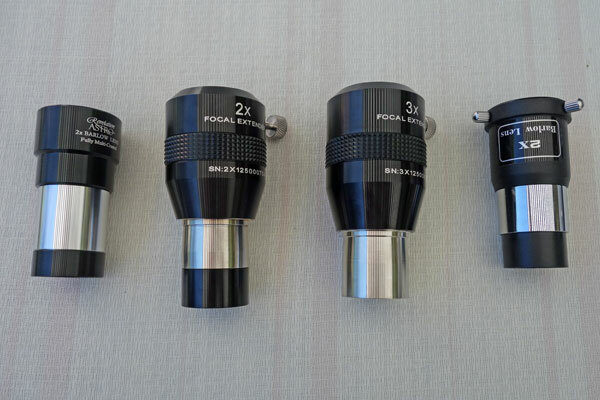 I got a voucher of 4.95 EUR and used it when I ordered a 3 x focal extender from them soon after - so to speak without shipping cost thanks to the voucher. 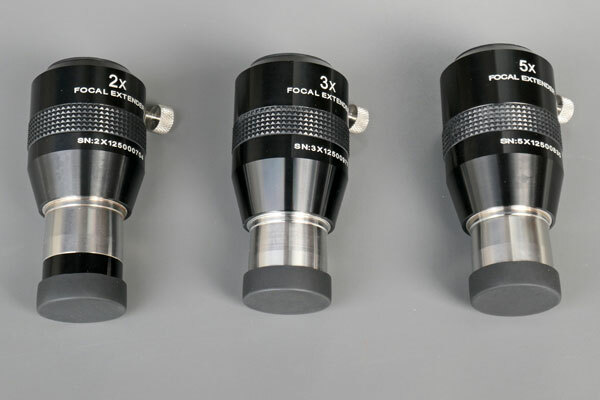 Admittedly, I did not use the focal extenders a lot, because they provided some bulk and introduced additonal complexity. 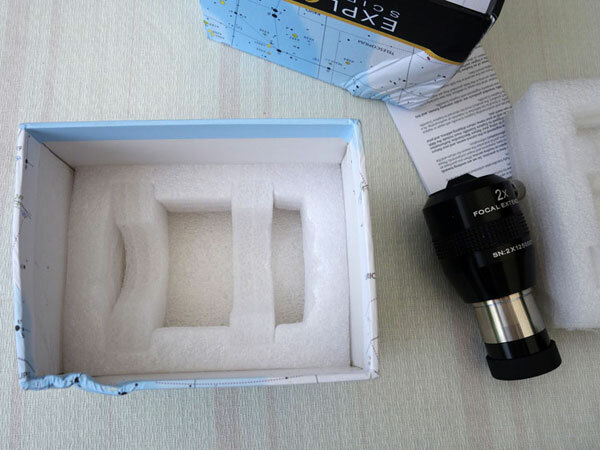 But after I had bought an Omegon PS 72/432 refractor, I found out that the 3x focal extender was very useful for taking photos of the moon using the 32 mm DigiScope eyepiece and this extender. 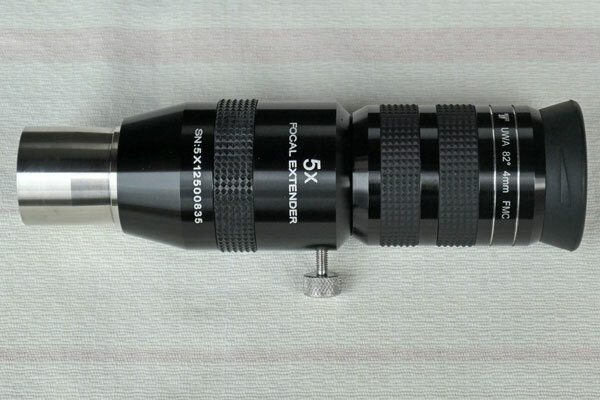 I also found that 5 x focal extenders were used in conjunction with wide-field refractors. 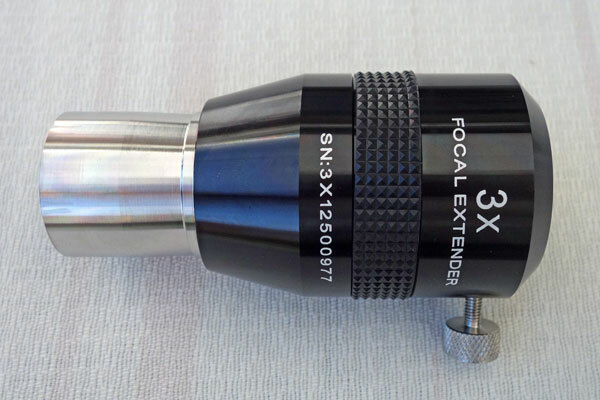 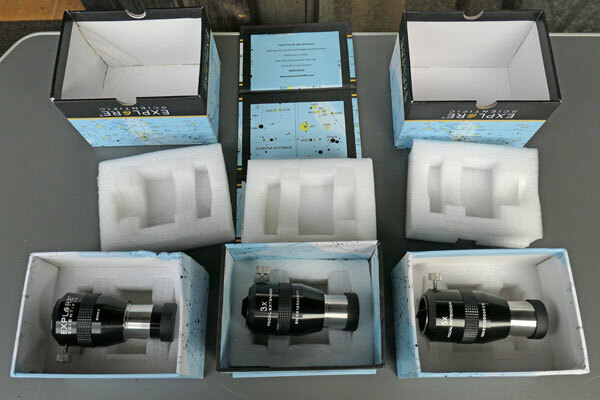 So I finally also ordered the 5 x focal extender in December 2018. 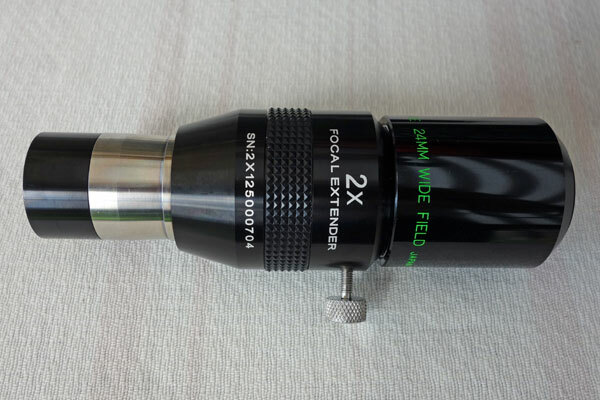 Note: Like Barlow lenses, focal extenders move the focus point outward. 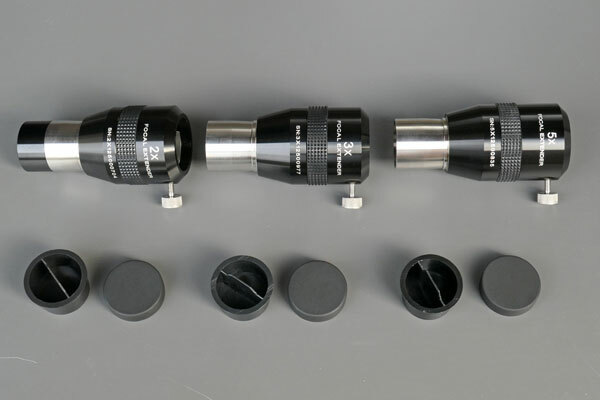 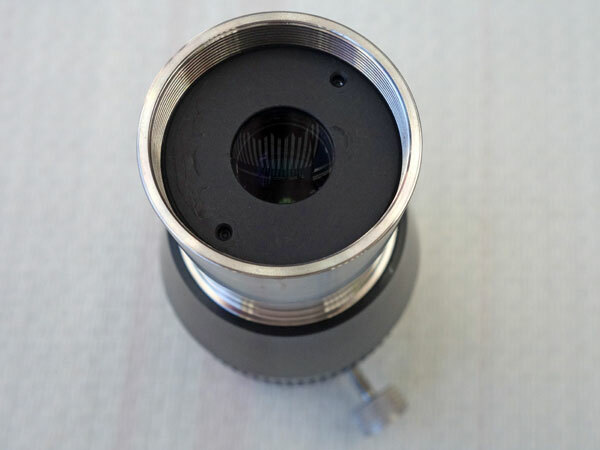 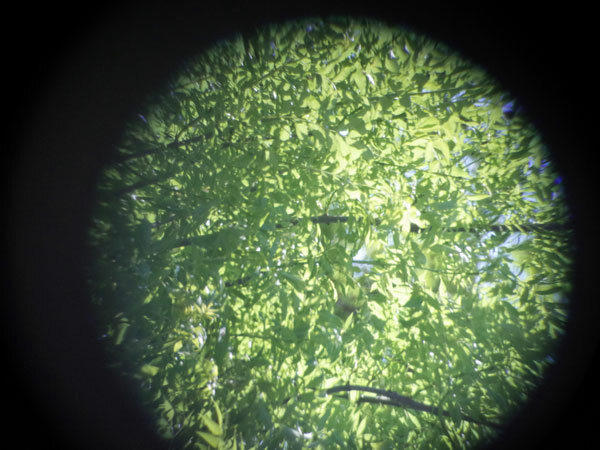 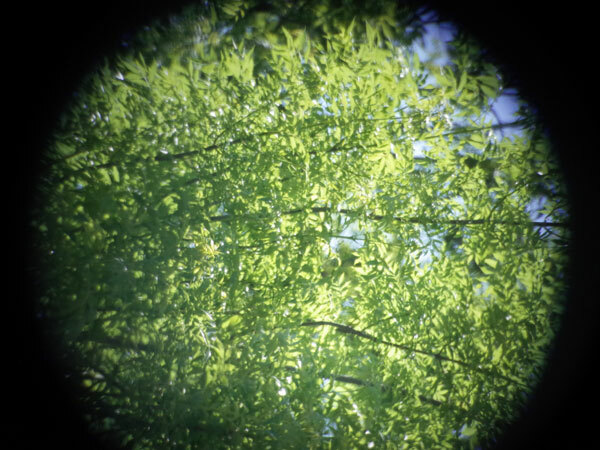 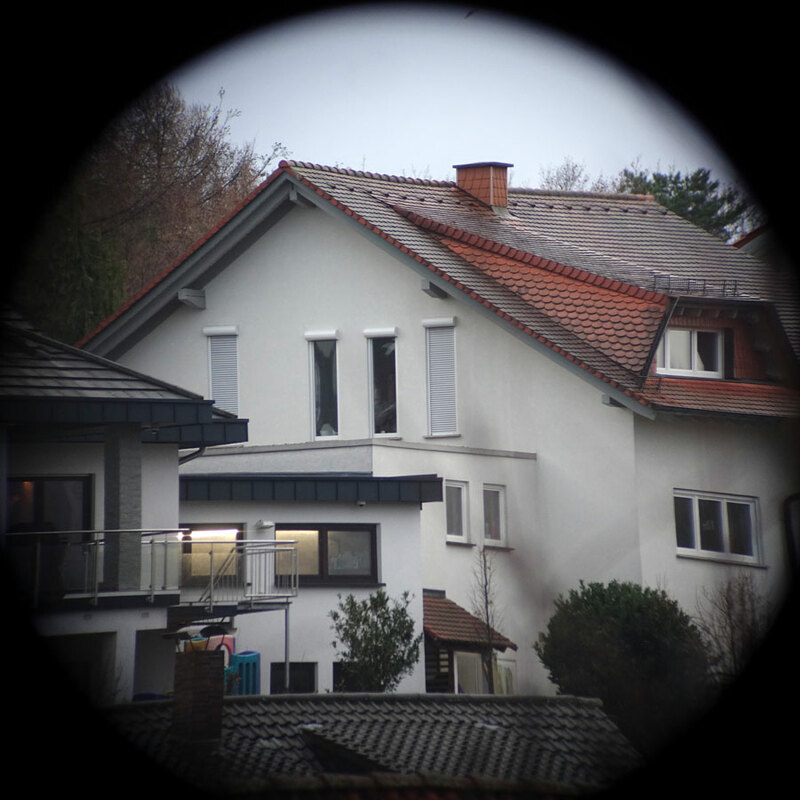 This can be relevant in the case that a camera does not come into focus, which is often the case with telescope tubes that are primarily designed for visual observation. 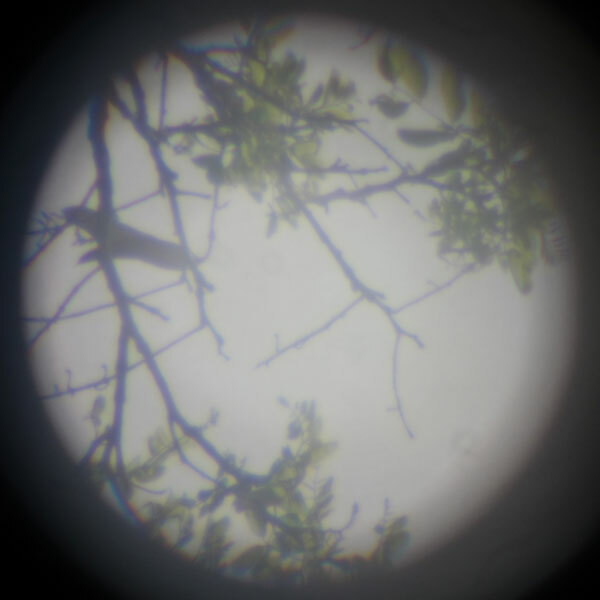 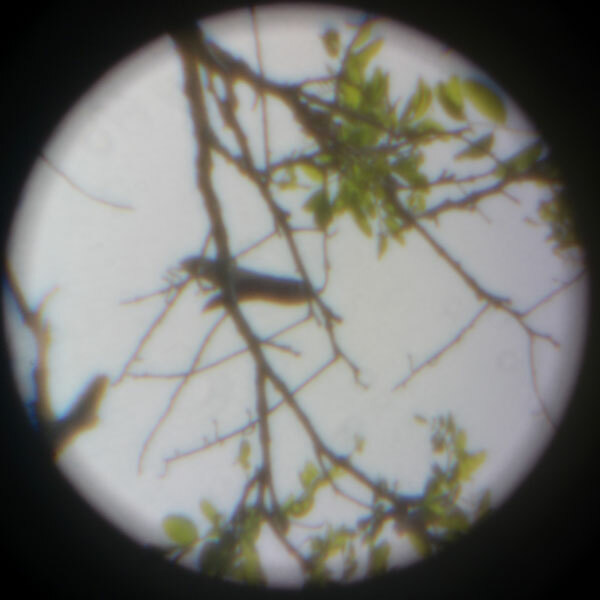 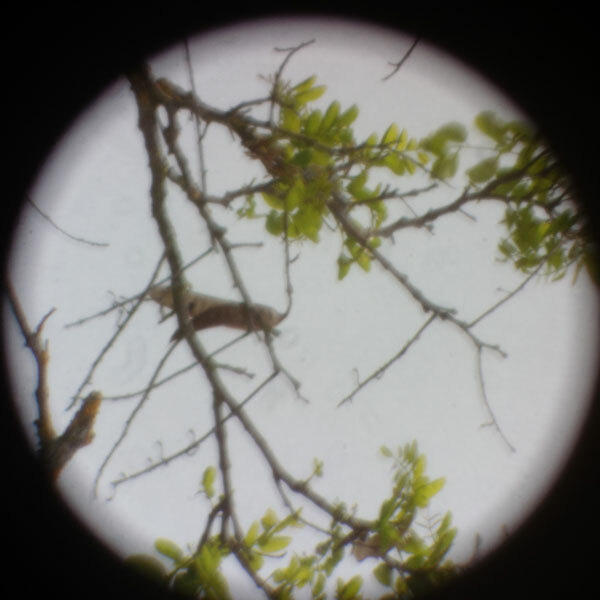 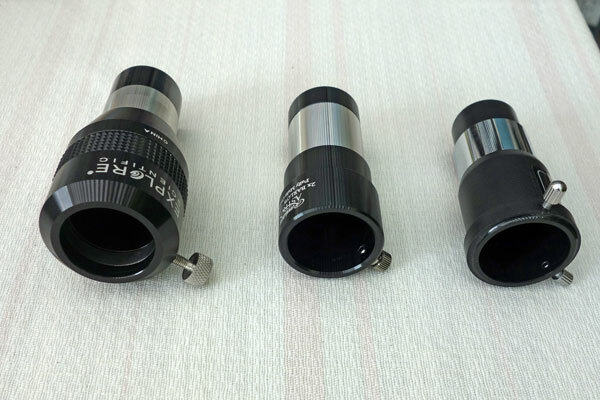 The Sky-Watcher Heritage 100P used in these tests was actually beyond the maximum usable magnification (200 x instead of 150 x) when used with the 4 mm UWA eyepiece. 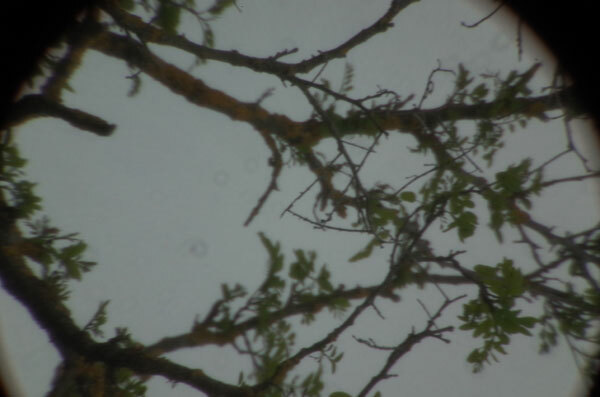 The following photos are unprocessed! 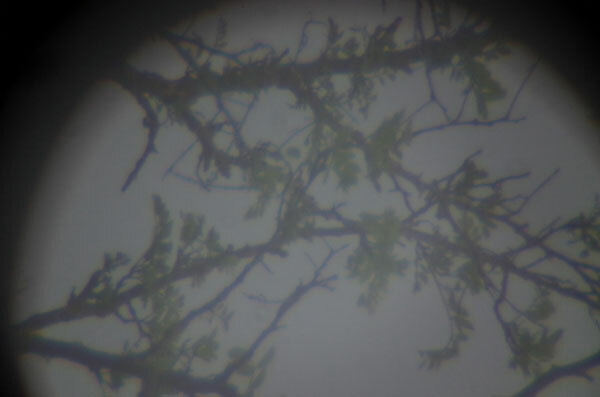 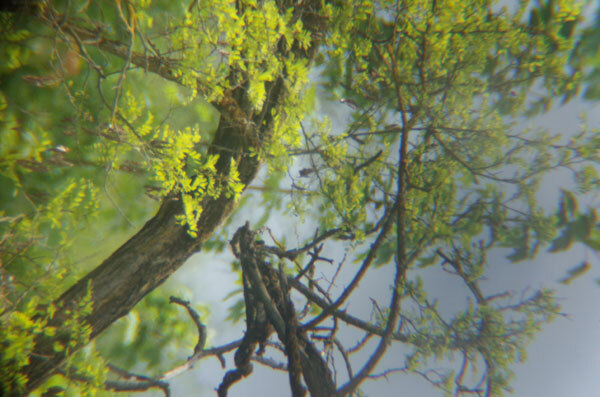 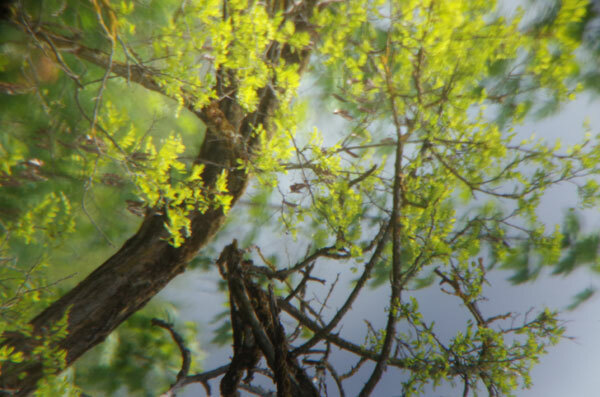 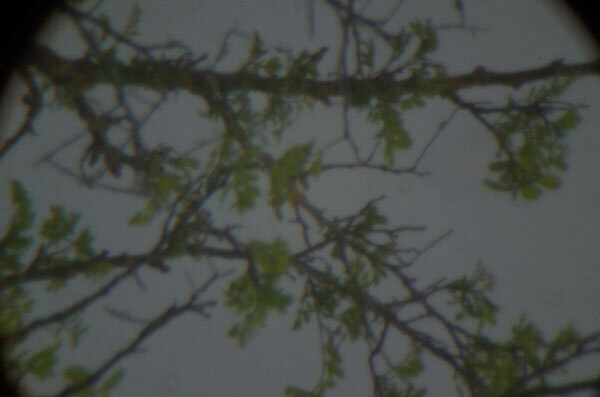 Due to the weather conditions, focusing was difficult using the 3 x and especially the 5 x extender. 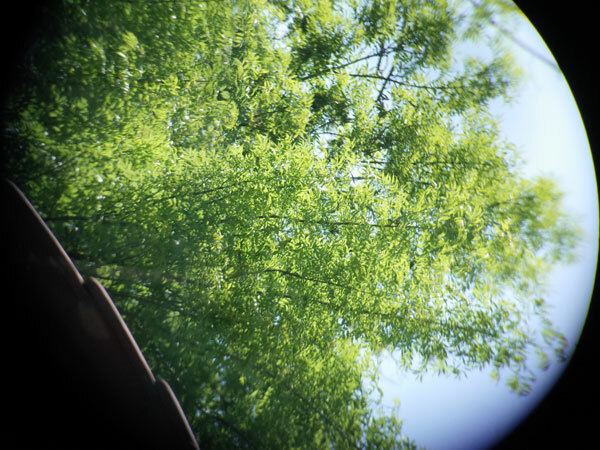 The sharpness achieved should not be taken too seriously here. 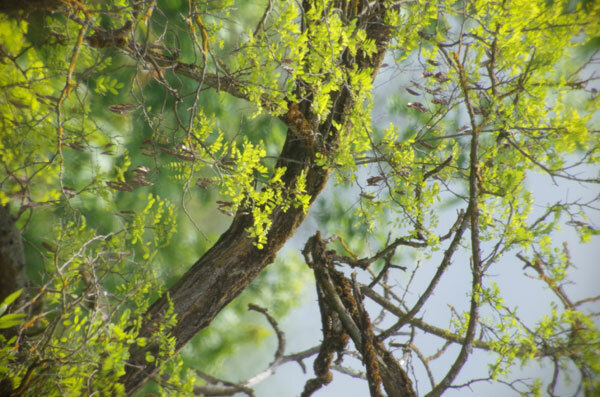 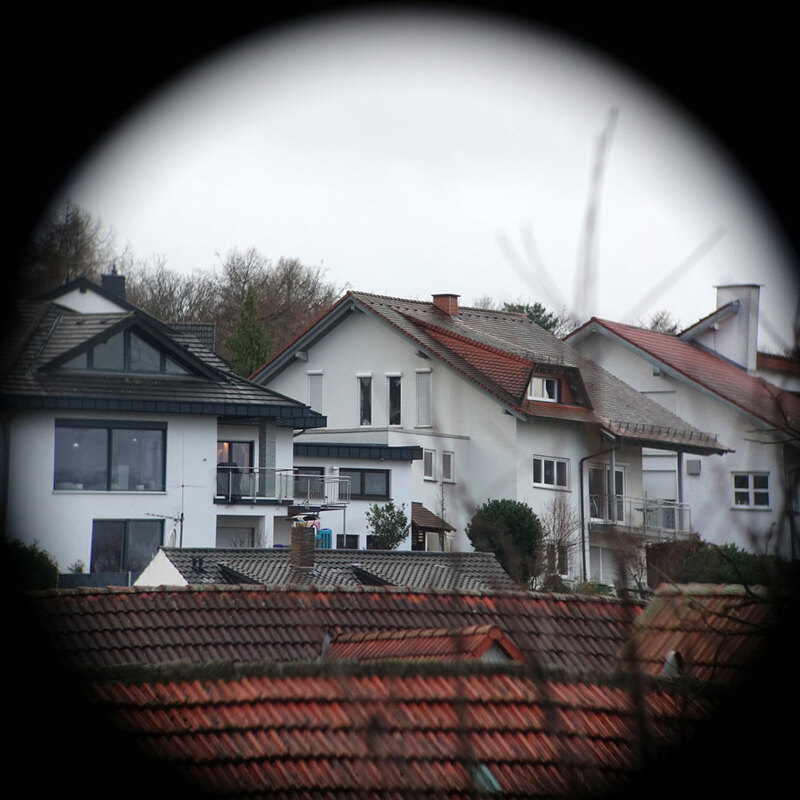 Nevertheless, I have the feeling that the sharpness achieved with the 5 x extender is lower. 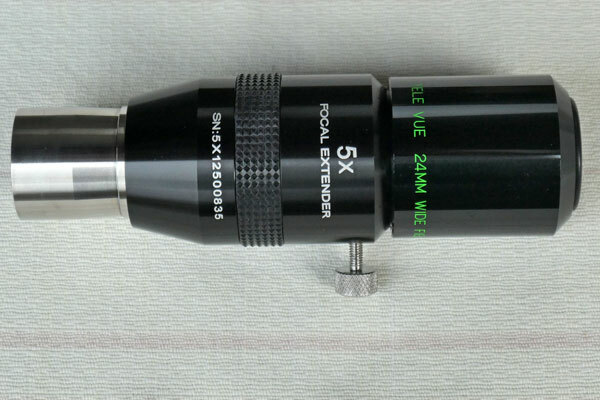 This still has to be tested on the moon! 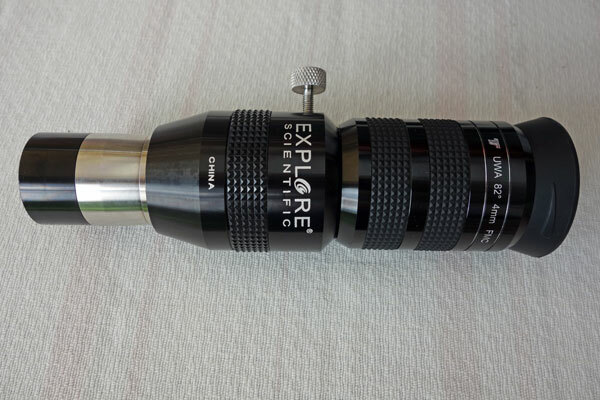 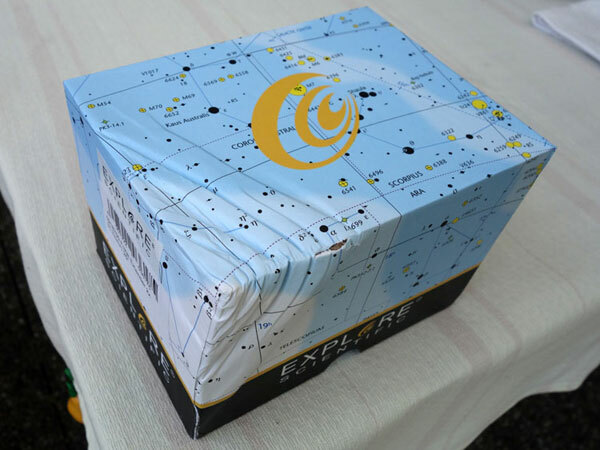 My first impression of the Explore Scientific Focal Extender 2 x is very good. 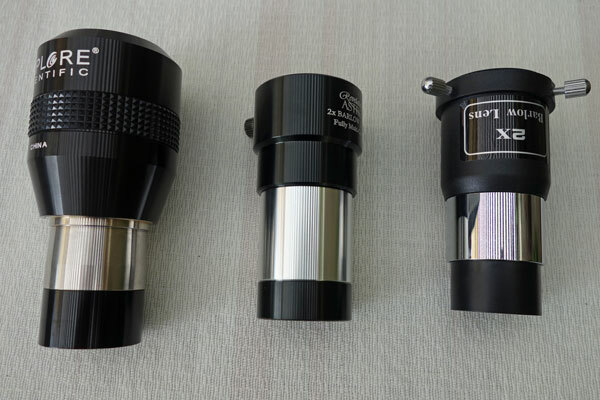 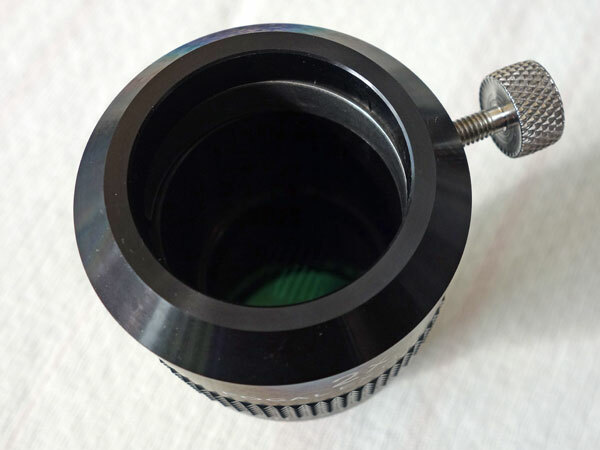 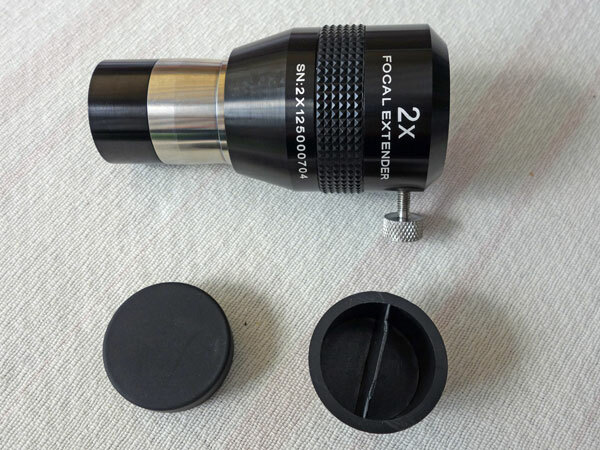 Surely one cannot expect miracles, and "real" eyepieces with the corresponding magnifications will certainly give better results than the equivalent combinations with the extender. 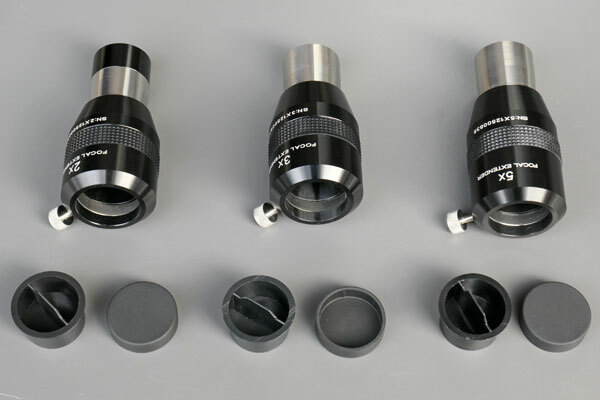 But as a "start," extenders are a good and not too expensive solution. 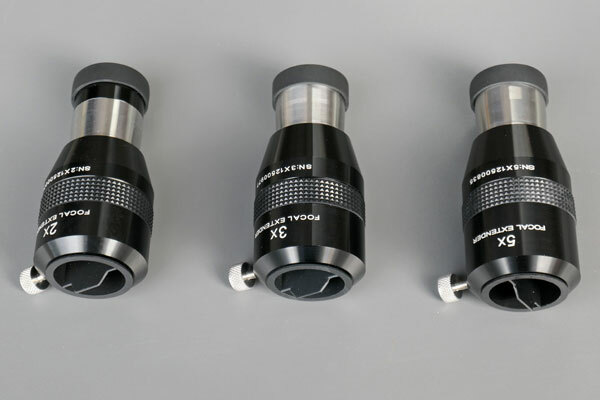 Very first impressions of the 3 x extender seemed to indicate that it does not perform quite as well as the 2 x extender (which does not come as a surprise to me...), but when I checked both extenders at the moon (nearly half moon), the 2 x with an 16 mm UWA eyepiece, and the 3 x with a 24 mm WA eyepiece, I could not see any significant differences (the same accounts for the 7 mm UWA eyepiece without extender, however, this magnifies a little more in comparison to the two other configurations). 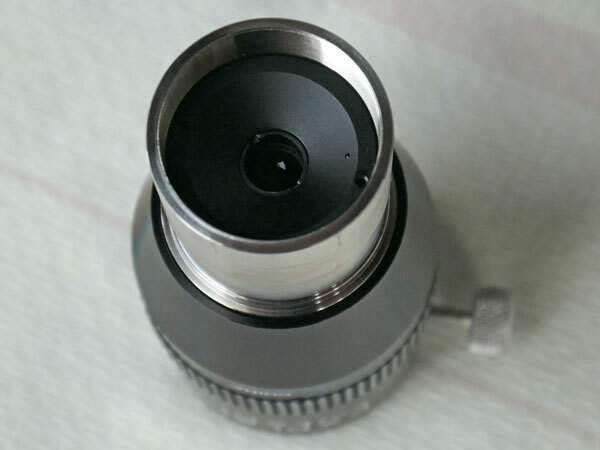 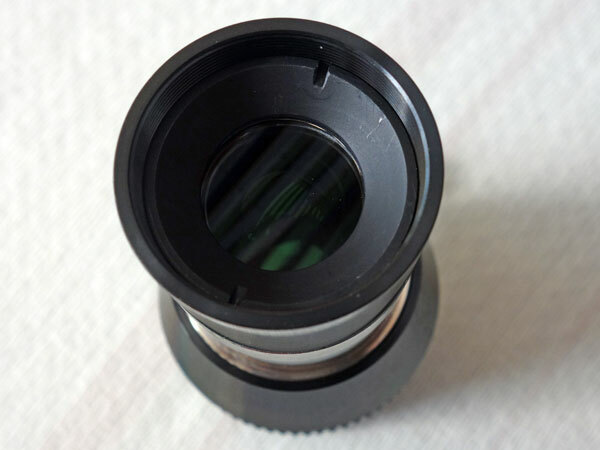 So there is still the use of the focal extenders to take photos with the 32 mm DigiScope eyepiece according to the projecton method. 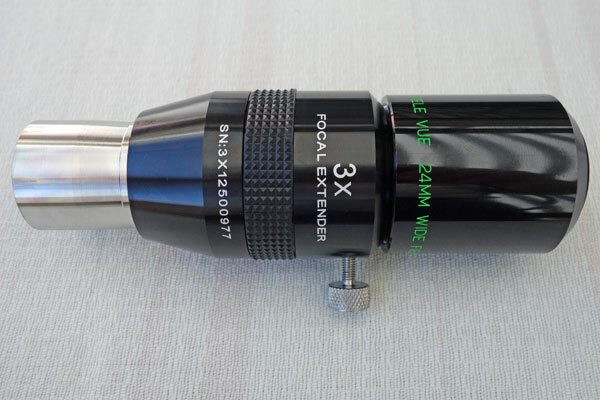 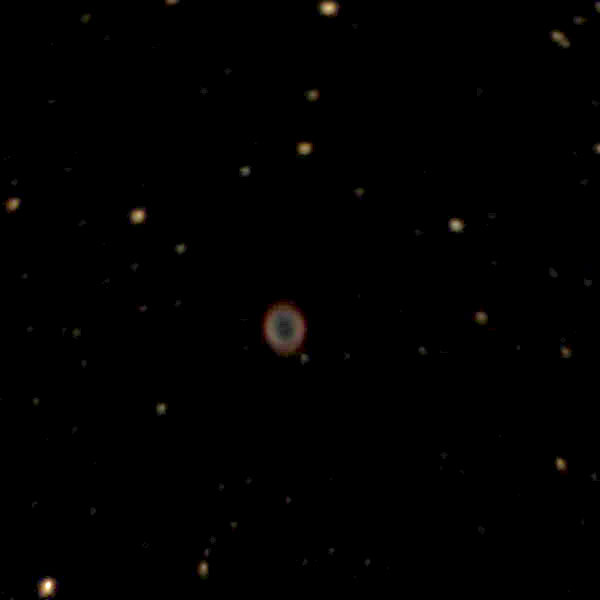 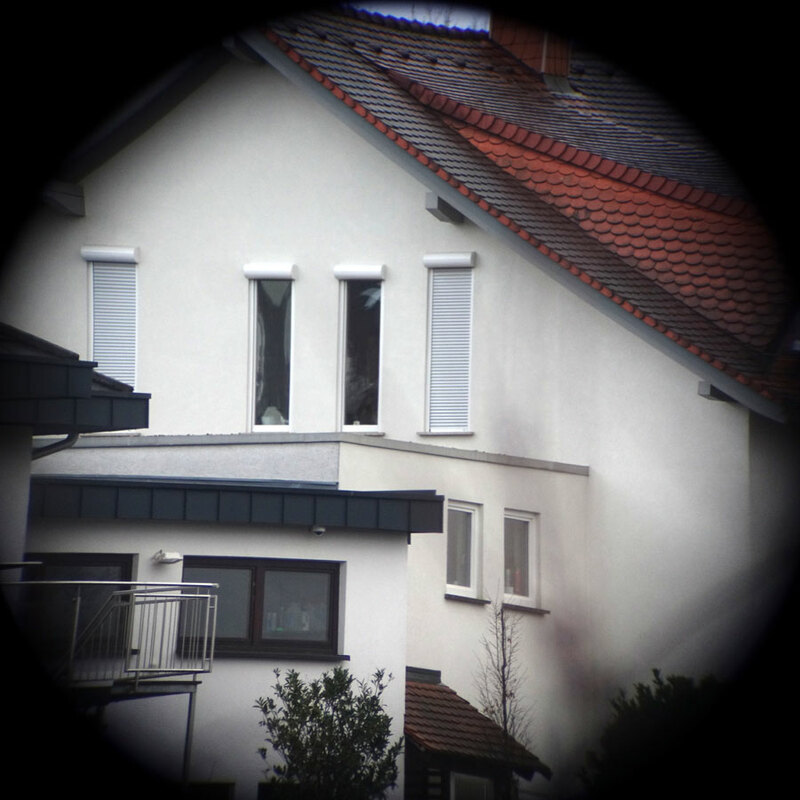 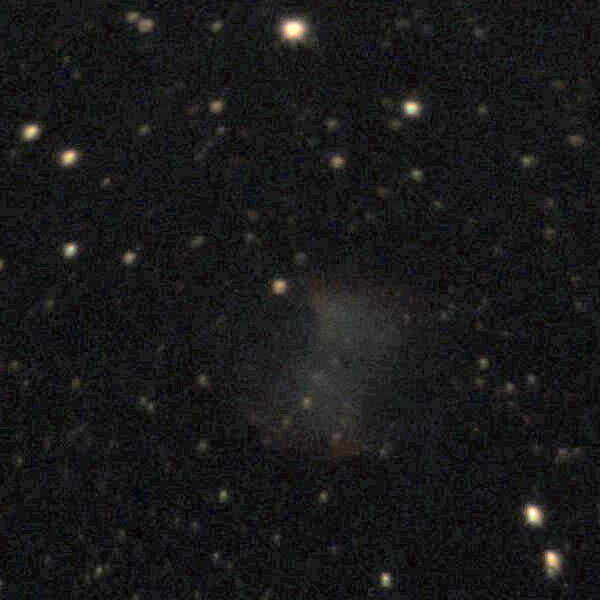 Here, the 3x extender has already proven itself (the 2x extender offers too little magnification). 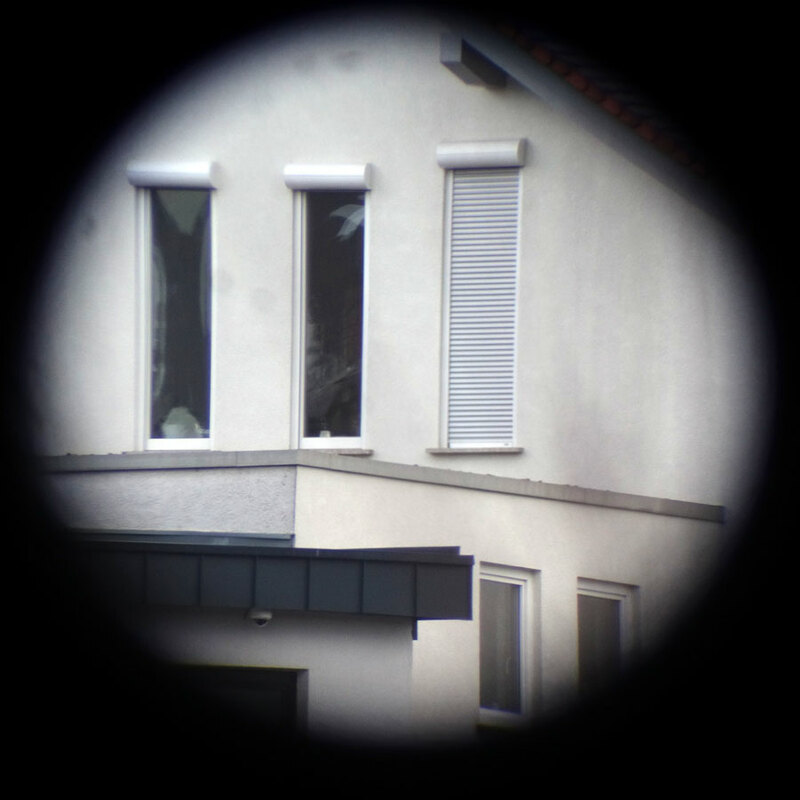 For example, I was able to photograph the Schröter valley on the moon with it. 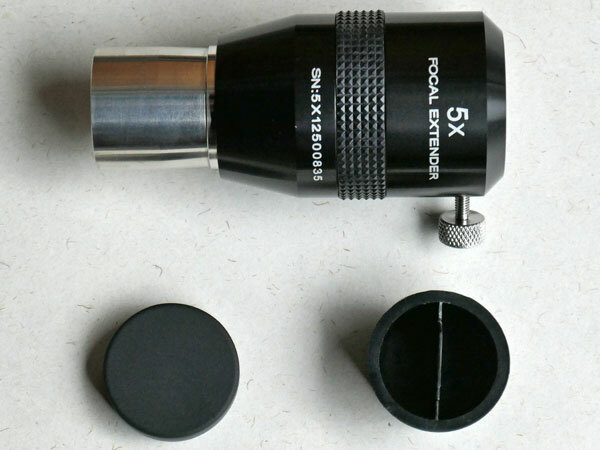 For the 5x extender, there are no results available yet, and I wonder wether a lower sharpness might ruin the gain in magnification.